Addis Ababa, Apr 14: Far from the din of Washington, Ivanka Trump toured businesses run by women in Ethiopia on Sunday while promoting a White House global economic program for women. 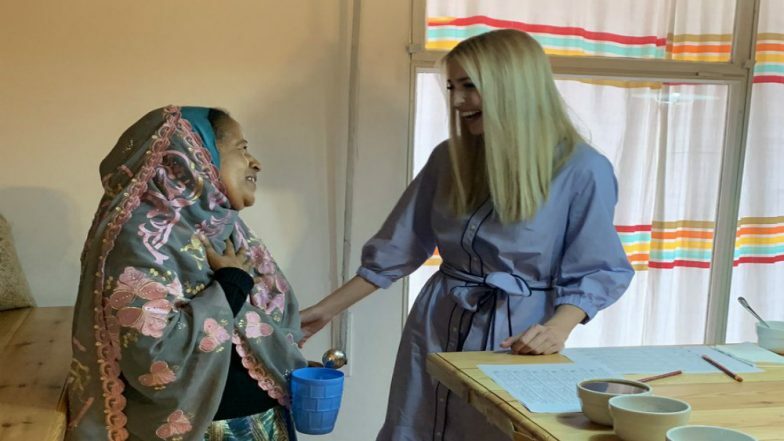 President Donald Trump's daughter and senior adviser visited a coffee shop and textile company in Addis Ababa. It was her first stop in Africa on a four-day trip to Ethiopia and Ivory Coast on behalf of a White House project intended to boost 50 million women in developing countries by 2025. Donald Trump Admin Announces Two Women Economic Empowerment Programmes in India. Ethiopian journalist Sisay Woubshet was more skeptical, citing Donald Trump's past comments. "I don't think people will have a good feeling about his daughter's visit this time around to promote her global initiative towards women." For Ivanka Trump, those challenges come with the territory.